In the cold regions, many people know what their lawn will have to face when winter sets in. Knowing the toll that winter puts on our lawn should make us want to give it a helping hand. There are a few things to consider to help your lawn and one is winterizer fertilizer. When and is it too late is what crosses peoples mind when it is needed. We will touch on a few ways to help your lawn for the winter and help you determine if it is too late. 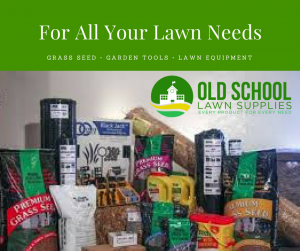 All lawns can use some help in receiving the proper nourishment to help keep the roots strong and the all-around health to the plant physiology. There are a lot of things that can strip it from getting its needed nourishment. We know that the lack of water, oxygen, and nutrients will starve our lawn. So this is why fertilization is needed to help out our lawns. In the winter, your lawn could really use your help in receiving these nutrients. When it comes to winterizer fertilizers, they are designed to time feed your lawn over the winter months so that your lawn can bounce back a lot stronger than if it did not receive it. By general rule, is to apply it in late October thru early November. But sometimes nature can change things up on you and you can probably go into the mid-month of November applying it. 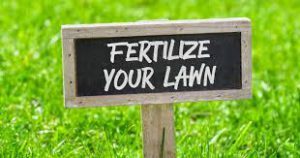 But make no mistake, you would benefit from fertilizing it even if you only do the end of the season regular fertilizing in September. Other things that will help your lawn during the winter months is to cut your lawn low prior to the first freeze. Not scalp it but cut it to the lowest recommended height for your particular grass. When you combine a low cut with good leaf removal prior to the deep winter you help relieve your lawn for the possible attack of snow mold. When these two things are done it helps to prevent a lot of moisture from setting in causing a mold problem. 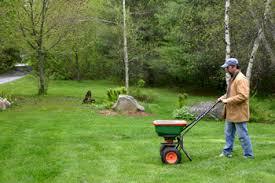 Below is a video to give you a little deeper point of fertilizing your lawn for the winter. Enjoy! If you want to help your lawn get through the winter to bounce back strong in the spring, give it what it needs to get the proper nourishment. And if nothing else, prepare it by making sure it is not tall or overgrown or covered with the leaves you did not clean up. 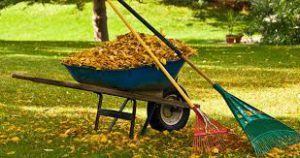 If you need someone to clean up the leaves because you have way too many, call someone who can. Here at Old School Lawn Service, we are ready to help those who don’t have the means to remove the leaves from their property. Thank you for visiting in with us and I hope this article gave you some insight on how to and when it is too late to winterize fertilize your lawn. If you have any questions or comments we welcome them below.